The wait has now finally come to an end as now the application are being accepted for the 2018 #TFDevSummit! Now, before we take a keen interest in being there, what actually is the Tensorflow Dev Summit? The TensorFlow Dev Summit is a flagship event of TensorFlow, that for a full day consists of demos, highly technical talks, and conversation with the team and community of TensorFlow. The event aims at bringing together a diverse mix of machine learning users from around the world. All those who will attend can expect to learn about all the new updates to TensorFlow and how TensorFlow can be used in order to solve challenging problems. Now, Where will it take place? The second annual TensorFlow Dev Summit will be hosted on the 30th of March, 2018 at the Computer History Museum in Mountain View, CA. 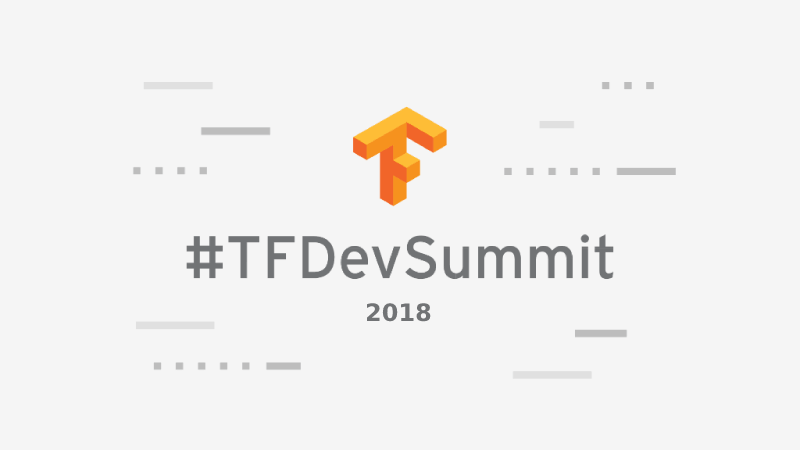 Also, for all those who wish to attend the event, they can stay updated with announcements, speakers and schedule updates related to the #TFDevSummit on the event page! The team believes that a diversity of attributes, experiences and perspectives are needed in order to build a technology that has the power to change the world. So, they have partnered with the Women Techmakers team where they offer travel grants to women in technology who are interested in attending. Now, following up, How to apply? Due to the popularity of the TensorFlow Dev Summit, not everyone's applications can be accepted so it is advised to not make any travel arrangements until confirmation of your registration and directions to the event are provided. Also, for those who wish to attend the summit can apply to the TensorFlow Dev Summit to the link mentioned below! It is to be noted that all talks will be streaming live as well as recorded, and the same will be updated on Tensorflow.org and @tensorflow as the event is approached!